We were all bought the voucher for a Christmas present and I have to say it was money well spent. 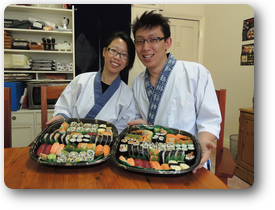 Narihito & Yoshie were very welcoming with their green Tea with a twist on arrival and they are such lovely people. 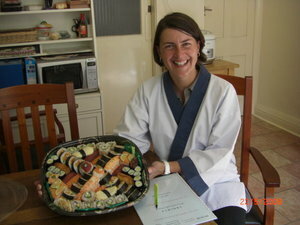 The 3 hours of teaching, which was thorough and very informative went so quickly. 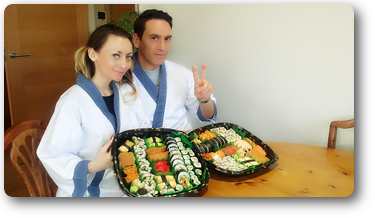 They were on hand if we needed some encouragement and we went home with an amazing platter each full of our favourite sushi. 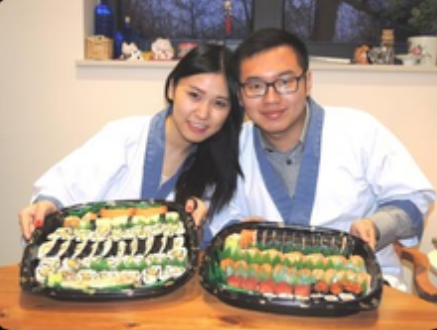 This is the second time we have visited Nari and Yoshie and once again, we learned so much. 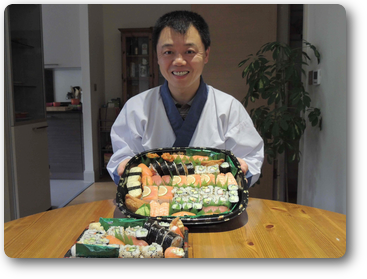 Their teaching is patient, clear and helpful and has given us the confidence to practice regularly and truly enjoy the beautiful and flavoursome world of sushi and sashimi. 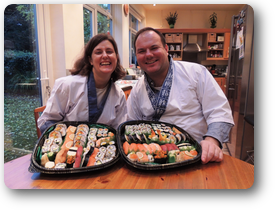 I have been fortunate to participate in over a dozen cookery courses in recent years and I can honestly say that as a lover of food and the techniques behind the preparation and creation of it, the Sushi making course that my 12 year son & I recently attended (January 2019) with Narihito & Yoshie was the most informative and enjoyable to date. 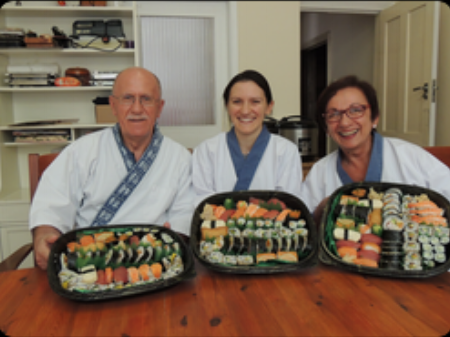 Aside from being welcomed warmly into their family home, both Narihito & Yoshie were ever patient and thorough throughout the 3 hours we spent with them, and not only did we learn the techniques to create our own sushi selection to amaze our family & friends, but we also found out the history behind the various different offerings. 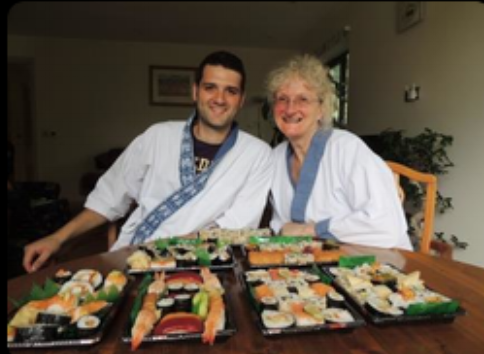 Their continuous encouragement eased any hesitation about getting this cooking artform right, and their calming approach to teaching allowed us both to learn some new skills that will stay with us to continue perfecting. 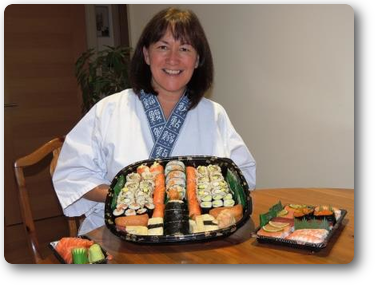 Never again will my son & I buy our Sushi from a shop as we will be making it fresh from now on.